In this tab, you can register using your mobile number and email id. Only after registering yourself, you will be able see and use other tabs. Recharge:Click to recharge this phone no. 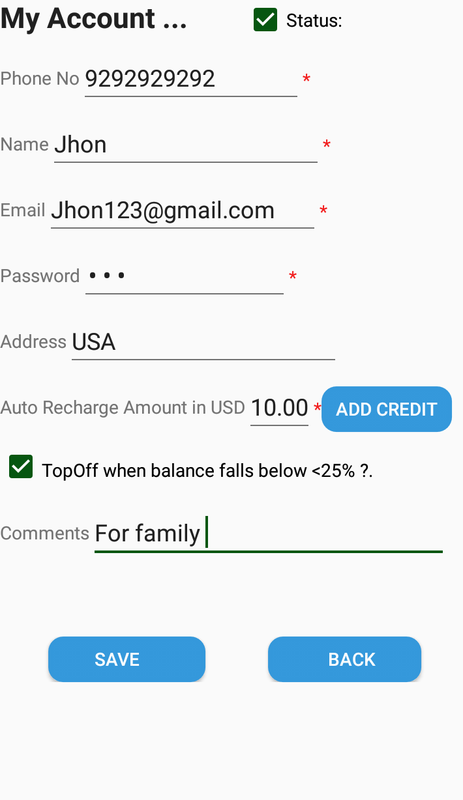 Here you can add credit to your account using USA credit/debit card. Payment Methods on Record:Here you can see all your saved cards. Select a card and click on proceed to charge from that card. Cancel :Takes you to MyAccount tab. 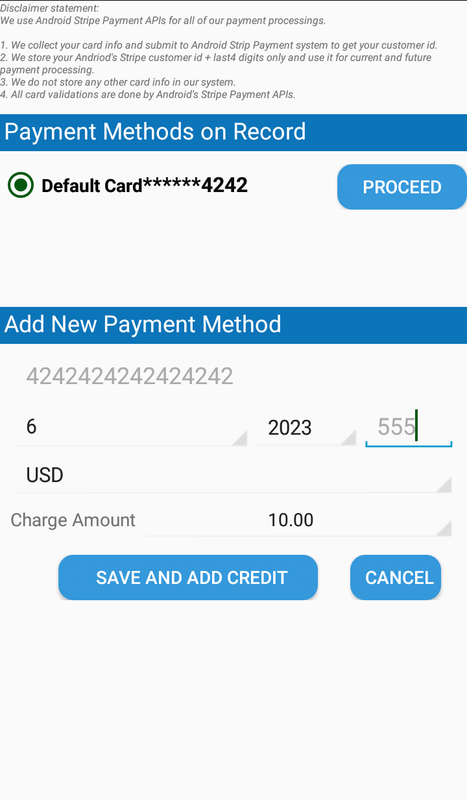 We use Android Stripe Payment APIs for all of our payment processings. 1. We collect your card info and submit to Android Strip Payment system to get your customer id. 2. We store your Andriod's Stripe customer id last4 digits only and use it for current and future payment processing. 3. We do not store any other card info in our system. 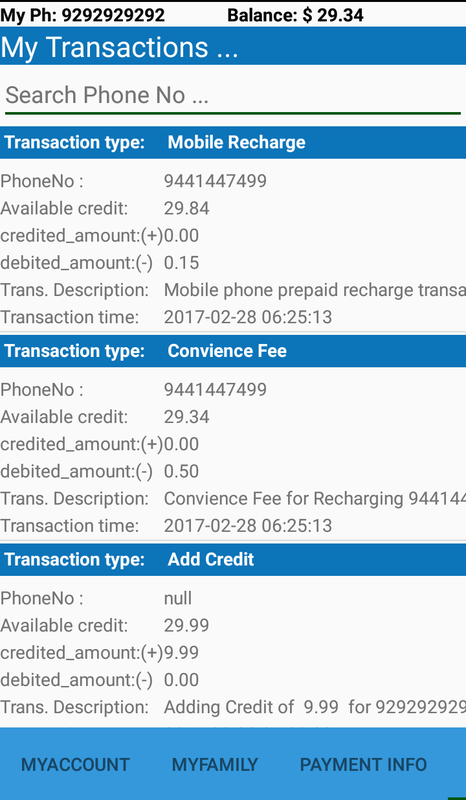 Here you can see all your transactions including adding credit and recharges till date. 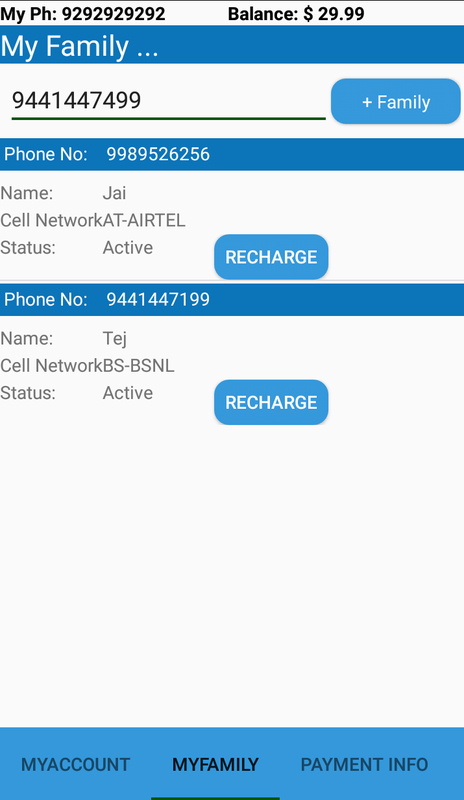 Here you can recharge any mobile Number. The India phone numbers are not restricted to your registered family members alone. 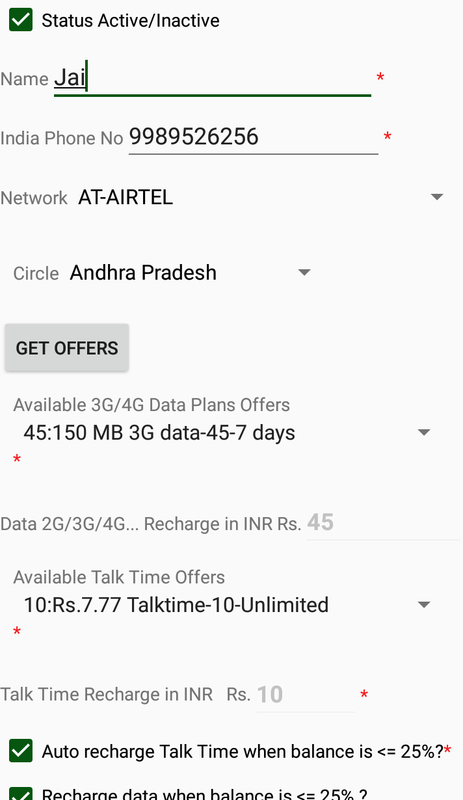 Do Talktime Recharge Only: Click this option when you want only talktime recharge - Convenience fee of USD $0.50 applys per transaction. 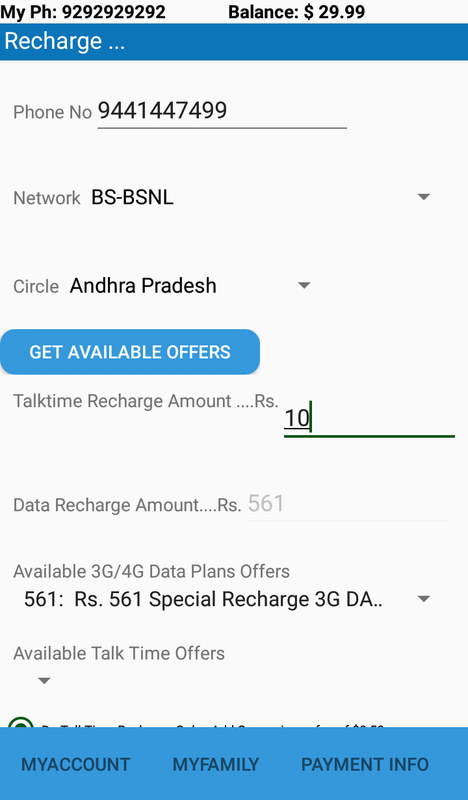 Do Data Recharge Only:Click this option when you want only data recharge - Convenience fee of USD $0.50 applys per transaction.